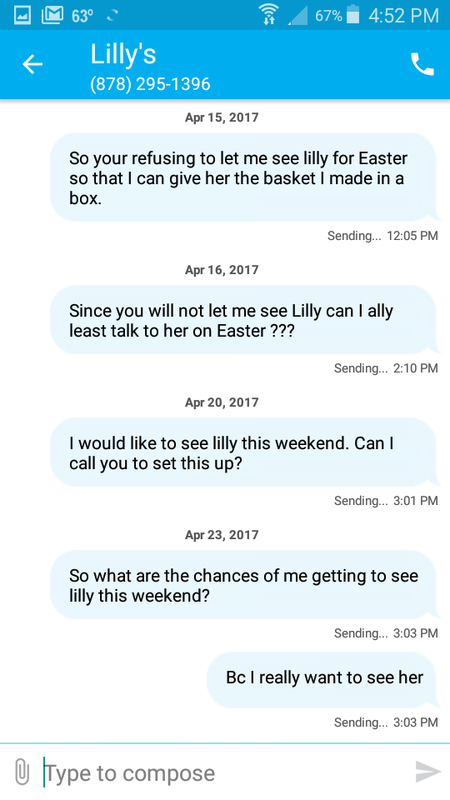 I once again did not get any responses for my Ex Amanda Makar to see my Daughter Lilly Makar this month either by text, phone or letter. 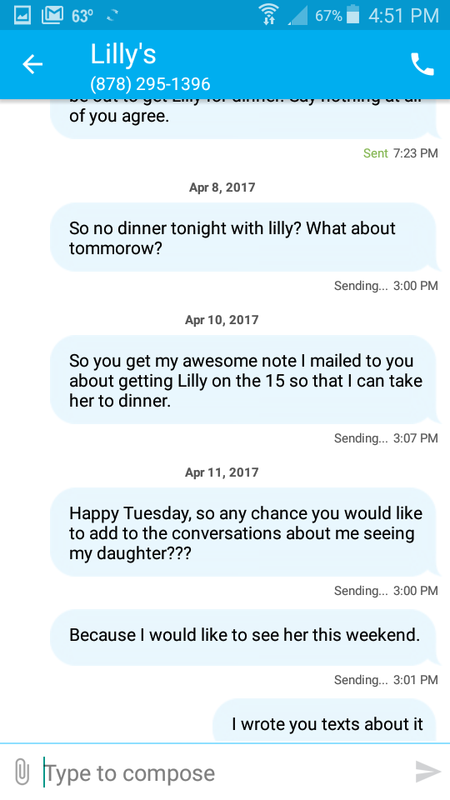 Here are my text to me ex Amanda Makar for April 2017. 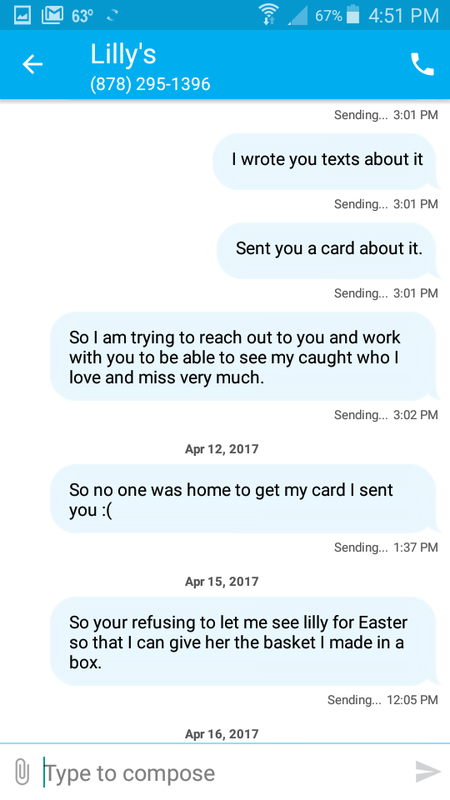 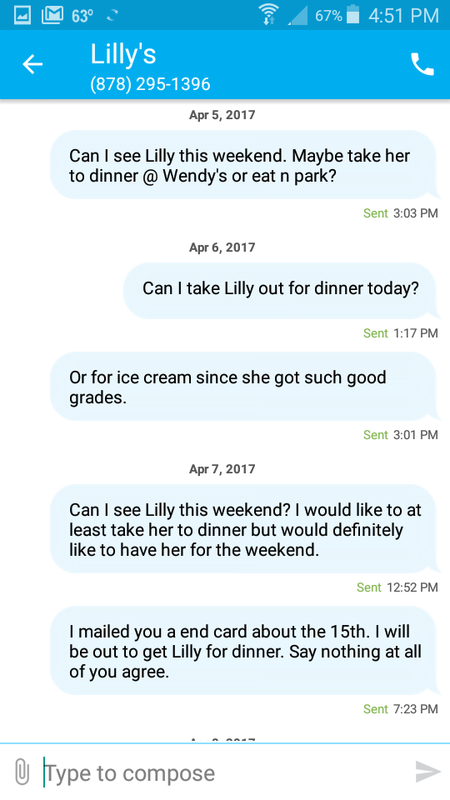 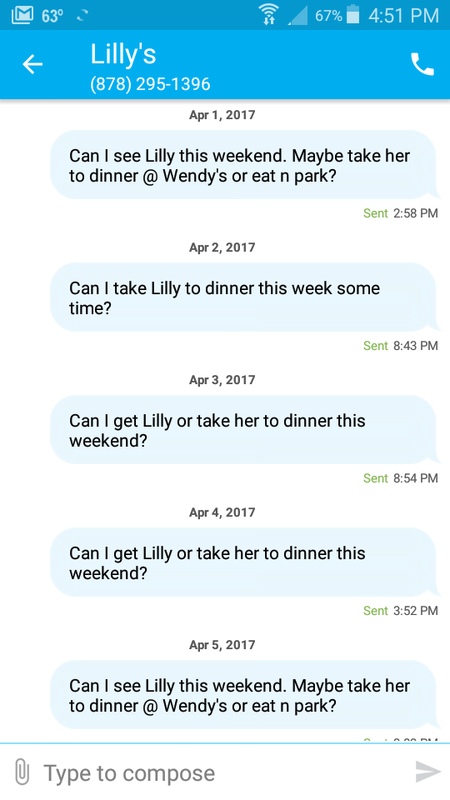 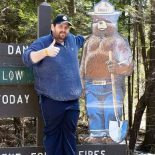 This entry was posted on May 3, 2017 by Mike G - michaeljgranata.com in My struggle with Lilly..